On the corner of S Golden and Orion Street. 1 block from Rock Rest Lodge. 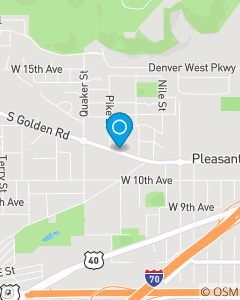 We focus on Auto Insurance, Home Insurance and Life Insurance throughout the Golden, CO area including Lakewood, Arvada, Wheatridge, and Applewood.In a world that is everchanging and busy, it is our aim to ease the stress that can come with Insurance by putting a premium on personalized service. We believe people prefer to have someone they know to help guide them through both good and bad times. These are the values that guide us.